Vinyl flooring removal is no easy task. In fact, it’s one of the more difficult flooring covers to remove, save glue-down carpet and the like. The real challenge comes from the fact of how vinyl is usually installed. It’s this which presents the biggest obstacle to getting it up and out of the room. Of course, there’s also the matter of dealing with the subfloor underneath, but we’ll get to that later. 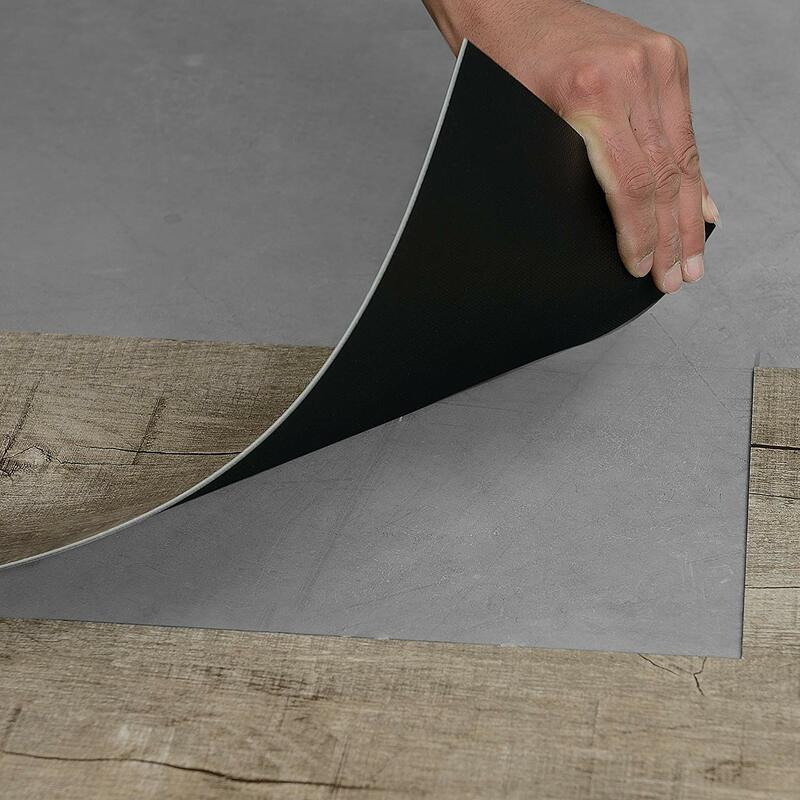 Aside from the physical aspect of taking up vinyl flooring, there’s the matter of disposing of it properly. After all, you can’t just roll it out to the curb because the local trash collection agency won’t pick it up. Which means you’ll have find another way to unload it. The best way to do this is to call a local junk removal service to come and pick up and haul away the debris. This way, you can take advantage of the opportunity and offload a bunch of other unwanted stuff at the very same time. The more you unload, the less you have to deal with in the future. Pull up a corner. You’ll need to use pliers to pull up a corner. (It’s best to start in the corner that’s furthest away from the door, if possible.) Once the corner is up, you can then begin to assess the condition of the subfloor underneath. Scrape up the vinyl. Next, you’ll scrape up the vinyl from that corner to the opposite side of the room. You’ll need a floor scraper and a whole lot of time and effort. Take care not to gouge the subfloor as you go. Remove the adhesive. Once the vinyl is off the subfloor, you’ll need to remove the adhesive. Be sure to follow the manufacturer’s instructions carefully so you don’t accidentally damage the subfloor. Clean the whole subfloor. After the adhesive is gone, you can then use a shop-vac or wet-dry vac to clean up any remaining debris. Once the adhesive is the completely gone, you can then deep clean the subfloor to install a new floor covering. When you need to get rid of the remodeling debris, go ahead and phone 800-433-1094 or visit Junk Garbage Removal.